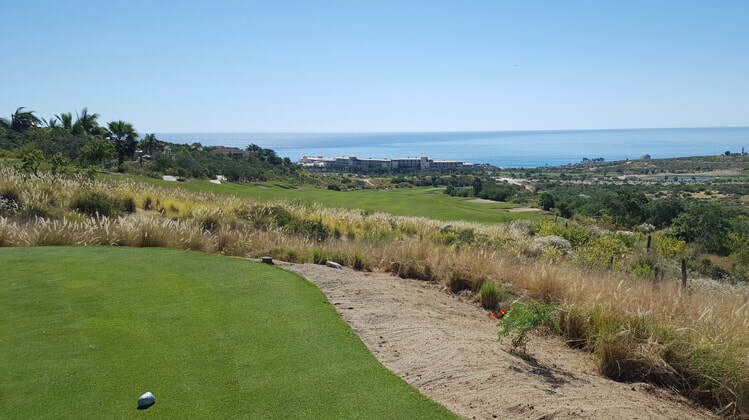 Puerto Los Cabos Hole 2: This downhill par four is a little wider than it looks from the tee, on the right side. The left has hazard down the entire side. A good drive short of the bunkers will leave a fairly straightforward approach to a sizeable green that has moderate undulation. Puerto Los Cabos Hole 3: This main item to avoid on this fairly long ocean view par three is the bunker to the right side. If that is avoided, the green is fairly flat and there is room to miss short and left. 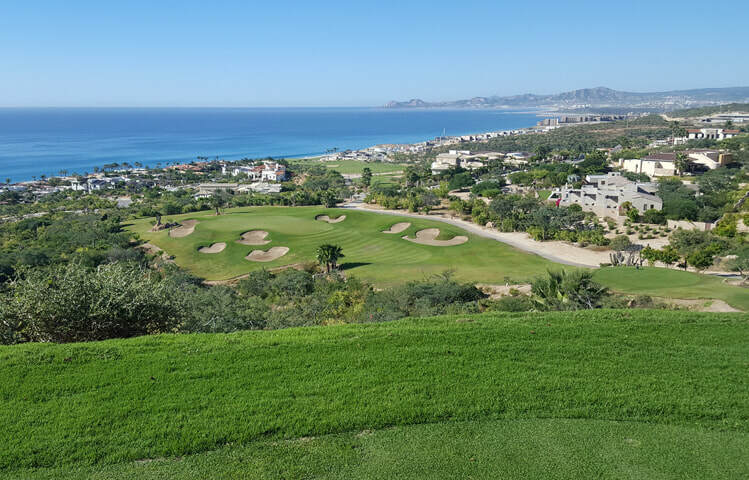 Puerto Los Cabos Hole 6: The view from the back tee here is a sweeping one of the Los Cabos coastline. The hole is way downhill to a green with lots of bunker protection. Left and short are dead, but enjoy the very long hang time on the shot to the green. There is also a tier separating the right/front from back/left portions of the green. Puerto Los Cabos Hole 7: A long, downhill par five, the seventh meanders its way down to the edge of the Sea of Cortez. There is trouble left and right on all three shots but the hole starts fairly wide but narrows considerably and the green has very deep front bunkers that have to be avoided as well. Puerto Los Cabos Hole 10: This is currently the 10th, but my understanding is that it will be moved around in the final routing. The tee shot is one of the tighter on the day and the uphill par five is reachable if that shot is mastered. The green is way uphill and guarded by a massive bunker short. 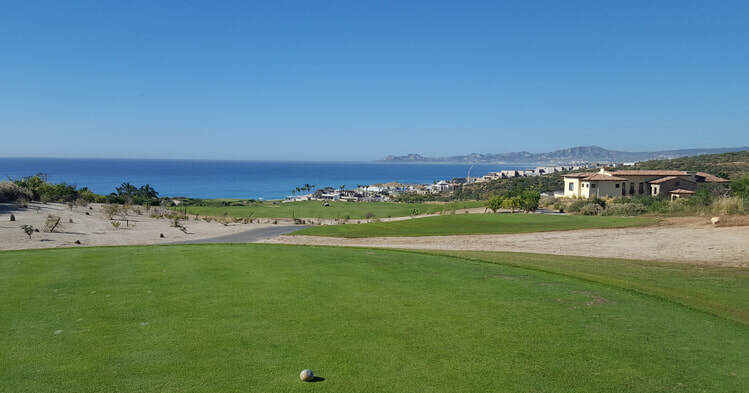 Puerto Los Cabos Hole 12: This long par five affords great views to the right, but hitting the ball that way is a big mistake. It's long enough to be played as a three shot hole, so discretion is suggested as direction trumps distance. The green is set and angled and a type of natural hollow, which is a unique feature on the course. 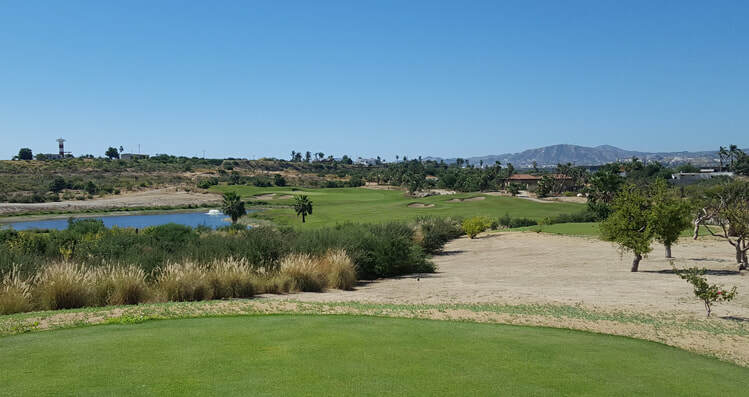 Puerto Los Cabos Hole 13: The manufactured lake to the left feels a little out of place, but it definitely is in play. The second shot is hard to a classic Nicklaus design of angled green with good protection for any pin placement other than maybe front-right. 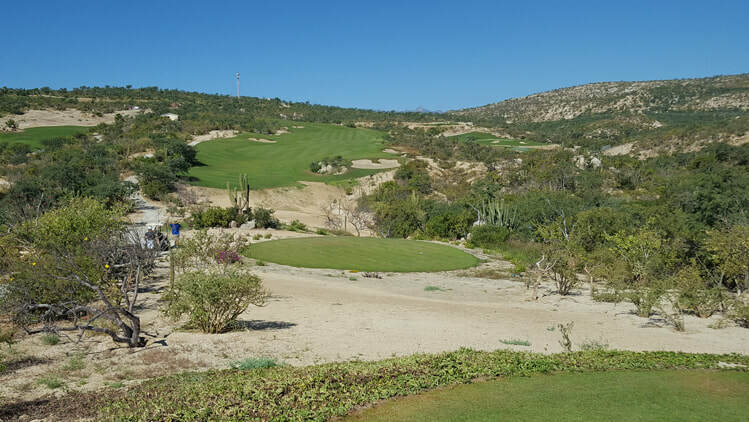 Puerto Los Cabos Hole 14: This big par five doglegs right. There is a ton of room off the tee but going closer to the desert on the right gives the player a chance to cross the desert wash in two to hit the green or leave a chip. However, the green is set between sand dunes so approach shots must be accurate. 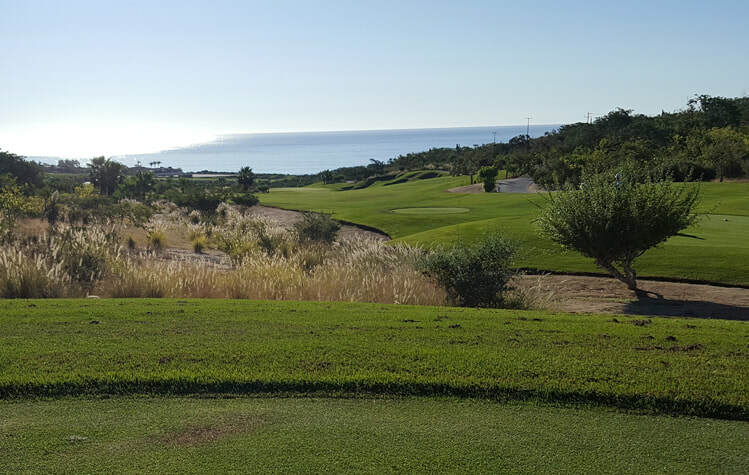 Puerto Los Cabos Hole 15: The Sea of Cortez is just to the right of the putting surface with a narrow strip of sand there to save a slightly errant shot. The green is deep and undulating, however, the hole is not particularly long, so mastering the nerves should actually give a pretty decent putt at birdie if the wind is calm. 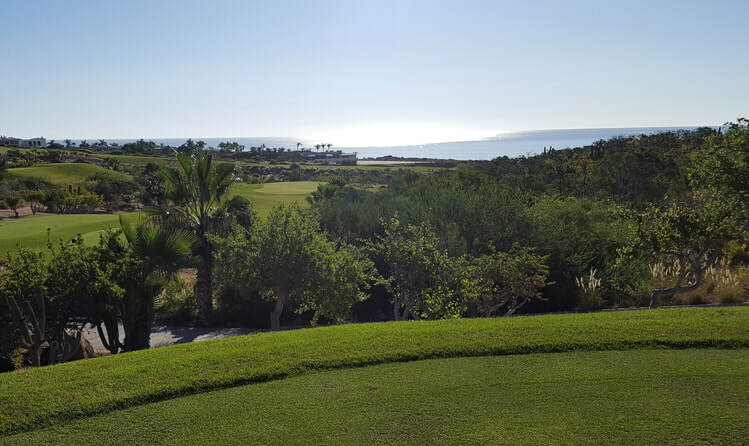 Puerto Los Cabos Hole 18: The finishing golf hole is tough as a full drive brings the lake to the left and the sand trap to the right very much into play. Being a long golf hole, if the player needs a par or better to finish, the risk should be taken. Laying back is safe but leaves a long shot uphill to the green that has a big bunker short/left as well.